Regain your confidence chopping and slicing with gloves made of materials 4x stronger than leather NoCry cut resistant gloves let you handle your grater, knives, and mandolin without worrying if you'll need to bandage a finger or worse... make a trip to the ER. 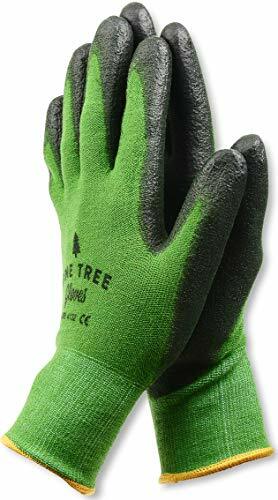 Made of food safe ultra high molecular weight polyethylene, glass fibre, and Spandex, these gloves have been designed to resist cuts from even the sharpest blades. You can feel secure in knowing they have an EN388 Level 5 cut protection rating. 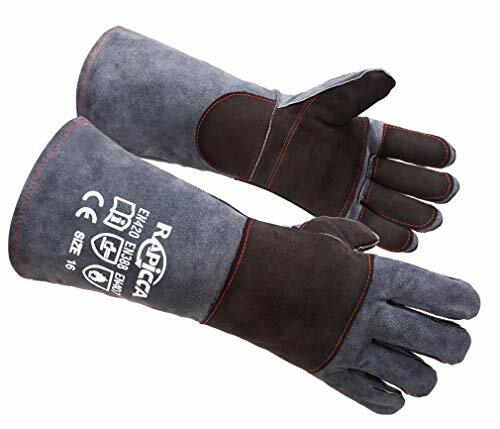 Your NoCry gloves will reduce the likelihood of sustaining serious injury if accidents happen. 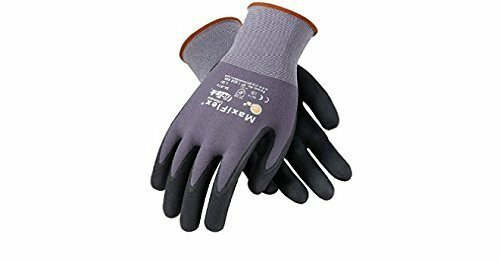 Work faster and safer with gloves that fit like a second skin What's more of a hassle than working slowly because you're afraid you'll cut yourself? It's trying to maneuver a blade with an ill fitting glove on your hand. That's why NoCry cut resistant gloves come in 4 different sizes - Small, Medium, Large, and Extra Large, to ensure a snug fit for every hand. The elastic material in your NoCry gloves makes keeping a firm grip on slippery and awkward items a snap. You'll be able to complete tasks more quickly and accurately while avoiding nicks and cuts. Get superior protection against sharp blades without sacrificing comfort NoCry gloves are ultra-thin, soft against the skin, and highly elastic. 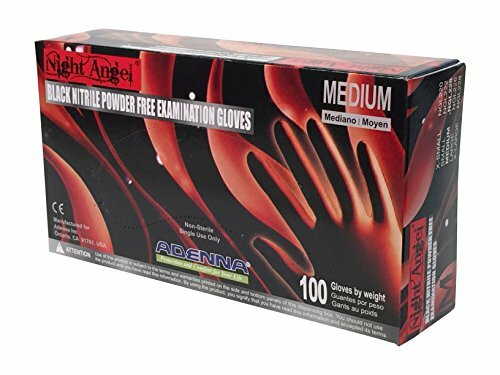 Weighing less than an ounce, they have none of the bulk found in other gloves on the market offering the same protection. Prepare food or work on jobs requiring precision with complete dexterity. You'll never feel like you're wearing armour on your hands or auditioning for a part on Game of Thrones. Because every order includes 2 ambidextrous gloves, save one for meal prep and use the second for your other blade friendly jobs. Even better - get more than one pair! Click the orange "Add to Cart" button and Order your NoCry Gloves Today! Durability with the highest level of cut resistant material available on the market - 4 times stronger than leather. Superior grip with a snug fit for small and large hands - made for preparing food or working on jobs requiring precision. Both gloves are ambidextrous. 100% food safe and machine washable - keeping your gloves clean is easy. The Latex protective finger tip is a great tool that will protect your individual fingers and nails from chemicals and scratches. Medical grade, made from powder-free anti-static natural rubber latex. Covering any wounds on fingers, protect your finger from infection, mess,contamination. Can be used for electronic repair, painting, jewelry cleaning, crafting, and more. Medium size. 6cm / 2.36" long. Perimeter is 5 cm / 2" . Fit for: Beauty, Acne, Pedicure, Industrial Electronics, Medicine . Function: Anti slip, anti sweat, anti-static. Disposable, Elastic , Non toxic, Safe and Multi-purpose. It can reduce static that widely use in industrial, such as electronic repair or electronic DIY. It is manual measurement; there may be 1-2cm error. And item color displayed in photos may be showing slightly different on your computer monitor. If you receive products with problem,please contact us directly. We will try our best to solve your problem ASAP, Thank you! 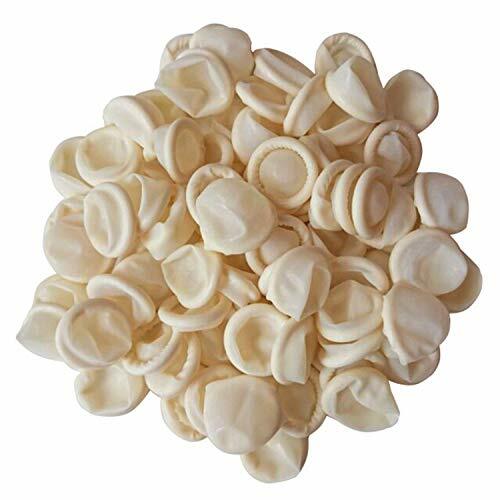 Product Name: Latex Finger Cots. Features: Medical Grade Rubber, Anti Static. Length : 2.36'' / 6cm Long. Total Quantity :125 grams,approx.185PCS. Medium size, flexible and fit for most fingers . Safe and Multi-purpose.Can be used for electronic repair, painting, jewelry cleaning, crafting, and more. NoCry gloves let you handle your grater, knives, and mandolin slicer while worrying less about bandaging a finger or worse... make a trip to the ER. 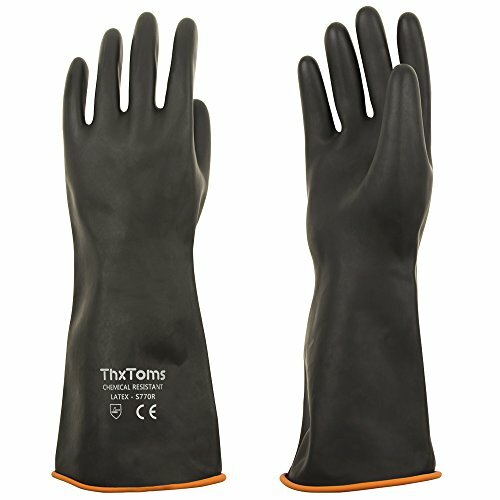 Made of food safe high performance polyethylene, glass fibre, and Spandex, these gloves have been designed to resist cuts from even the sharpest blades. You can feel more secure in knowing they have an EN388 Level 5 cut protection rating. PS! While the NoCry gloves are cut resistant, they are not fully cut proof. We designed them to reduce the likelihood of sustaining serious injury if accidents happen. Please still remain careful while using your gloves. What's more of a hassle than working slowly because you're afraid you'll cut yourself? It's trying to maneuver a blade with an ill fitting glove on your hand. That's why NoCry cut resistant gloves come in 4 sizes - Small, Medium, Large, Extra Large - to ensure a snug fit. The elastic material in your NoCry gloves makes keeping a firm grip on slippery and awkward items a snap. You'll be able to complete tasks more quickly and accurately while avoiding nicks and cuts. NoCry gloves are ultra-thin, soft against the skin, and highly elastic. 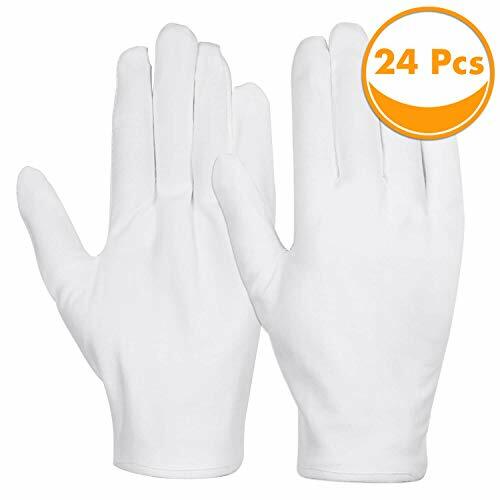 Weighing less than an ounce, they have none of the bulk found in other gloves on the market offering the same protection. Prepare food or work on jobs requiring precision with complete dexterity. You'll never feel like you're wearing armour on your hands or auditioning for a part on Game of Thrones. Because every order includes 2 ambidextrous gloves, save one for meal prep and use the second for your other blade friendly jobs. COOLING & UPF 50 PROTECTION: With innovative cooling technology and UPF 50 protection to block out over 98% of harmful UVA and UVB rays, the Tough Outdoors' Cooling Sun Sleeves are more than your average sun sleeves. Expect ultimate comfort and protection wherever adventure takes you. STRETCH FIT AND FULL HAND COVERAGE: Our sleeves are incredibly durable and stretchy. Easy to machine wash and hang dry. 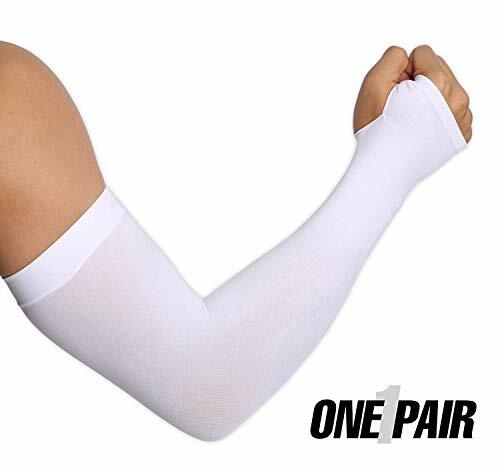 The hand cover ensures full coverage while the thumb holes will keep your arm sleeves in place. Our stretchy 89% polyester 11% spandex blend make them perfect for both men and women. Sold as 1 pair. GENUINE PRODUCT ONLY SOLD BY TOUGH OUTDOORS AND FULFILLED BY AMAZON: With over 5000 5-star reviews on Amazon, our products are the top choices for Amazon customers. We are so confident that we provide a lifetime warranty and 100% satisfaction guarantee on these sun sleeves. Beat that. IMPORTANT: Other products sold on this listing are counterfeit and do not qualify for the Tough Outfitters lifetime warranty. Regain your confidence chopping and slicing with gloves made of materials 4x stronger than leather NoCry gloves let you handle your grater, knives, and mandolin slicer while worrying less about bandaging a finger or worse make a trip to the ER. 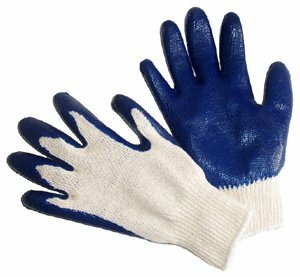 Made of food safe high performance polyethylene, glass fibre, and Spandex, these gloves have been designed to resist cuts from even the sharpest blades. You can feel more secure in knowing they have an EN388 Level 5 cut protection rating. PS! While the NoCry gloves are cut resistant, they are not fully cut proof. We designed them to reduce the likelihood of sustaining serious injury if accidents happen. Please still remain careful while using your gloves. 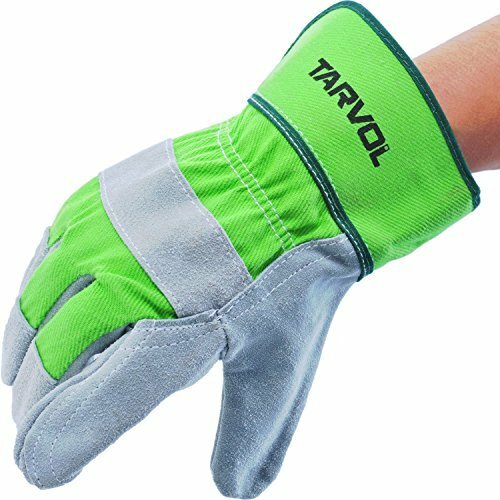 Work faster and safer with gloves that fit like a second skin What s more of a hassle than working slowly because you re afraid you ll cut yourself? It s trying to maneuver a blade with an ill fitting glove on your hand. That s why NoCry cut resistant gloves come in 4 sizes - Small, Medium, Large, Extra Large - to ensure a snug fit. The elastic material in your NoCry gloves makes keeping a firm grip on slippery and awkward items a snap. You ll be able to complete tasks more quickly and accurately while avoiding nicks and cuts. Get superior protection against sharp blades without sacrificing comfort NoCry gloves are ultra-thin, soft against the skin, and highly elastic. 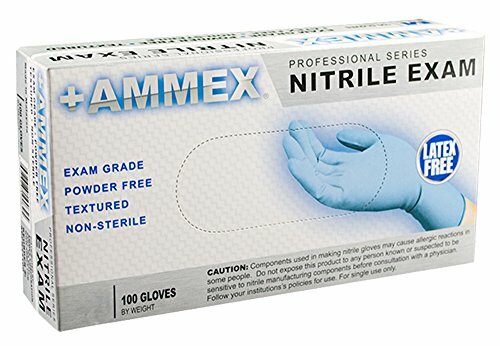 Weighing less than an ounce, they have none of the bulk found in other gloves on the market offering the same protection. Prepare food or work on jobs requiring precision with complete dexterity. You ll never feel like you re wearing armour on your hands or auditioning for a part on Game of Thrones. Because every order includes 2 ambidextrous gloves, save one for meal prep and use the second for your other blade friendly jobs. Click the orange Add to Cart button and Order your NoCry Gloves Today! 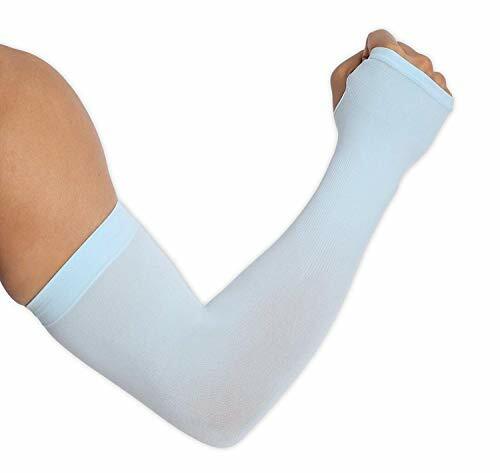 UV Protection Cooling Arm Sleeves - UPF 50 Sun Sleeves with Hand Cover for Men & Women. Perfect for Cycling, Driving, Basketball, Football & Outdoor Activities. Performance Stretch & Moisture Wicking.COOLING & UPF 50 PROTECTION: With innovative cooling technology and UPF 50 protection to block out over 98% of harmful UVA and UVB rays, the Tough Outdoors' Cooling Sun Sleeves are more than your average sun sleeves. STRETCH FIT AND FULL HAND COVERAGE: Our sleeves are incredibly durable and stretchy. 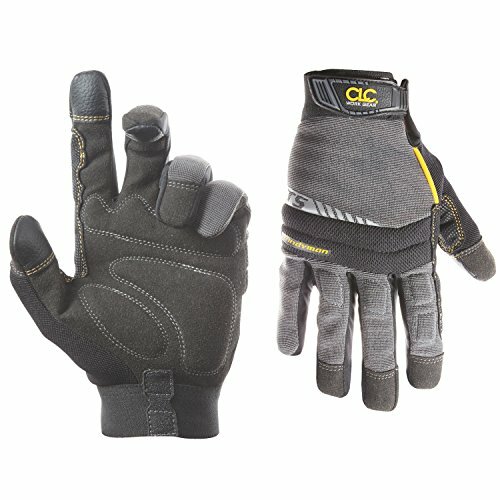 The hand cover ensures full coverage while the thumb holes will keep your arm sleeves in place. CUSTOMERS LOVE US AND OUR LIFETIME WARRANTY: With over 5000 5-star reviews on Amazon, our products are the top choices for Amazon customers. Shinymod 2018 NEWEST UPGRADED VERSION, TIMED SALE - Shinymod began to sell cooling sleeves in 2016, so far, Shinymod cooling sleeves are the most popular one among Amazon customers. To meet customers' various needs, we release this new version with unique design. And to feedback the support of customer support, we offer a big discount for this new version sleeves. 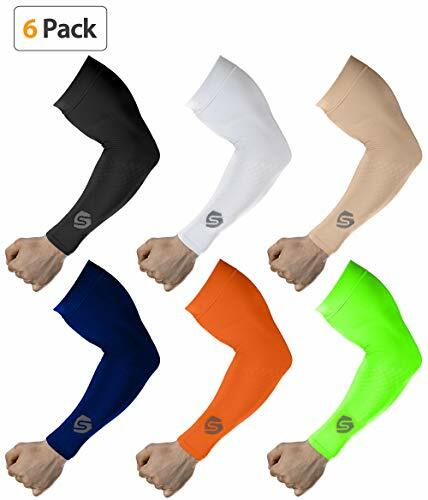 You can get this arm sleeves at the best price, do not wait anymore, buy and enjoy it. FREE SIZE, STAY ON WELL, MEET ALL YOUR NEEDS - Shinymod cooling sleeves with super high elasticity, nonrestrictive, confirm to your arm shape, allow maximum freedom of movement without slipping down. They are perfect for various activities and outdoor work, such as golfing, fishing, basketball, cycling, hiking, driving, gardening, etc. Hulless 200 PCS Disposable Latex Finger Cots Anti-Static Rubber Fingertips Protective Finger cots for Electronic Repair, Painting, Jewelry Cleaning, Crafting Industrial Apply. Quatity: about 200 pcs 100 grams,4 Mil Thick. Medium size, flexible and fit for most finger. General Purpose Finger Cots are made of 100% natural Latex in rolled style. Warranty: Adenna warrants our products to be free from defects in material and workmanship for a period of not less than 1 year from date of delivery. All products found defective within that period shall be replaced. Adenna disclaims all expressed or implied warranties to the maximum extent permitted by law. Under no circumstances shall Adenna be liable for any incidental, consequental, or indirect personal injury, damages, interruption of business, or any other loss arising from the use of our products. It is understood and agreed that Adenna's liability shall not exceed the amount of purchase price paid by buyer of the product. User assumes all risk of possible allergic sensitization or reactions. No action whatsoever arising from the use of our products may be brought after one year from the cause of such action.